A Federal Court judge has found that Telstra engaged in misleading or deceptive conduct for the use of the word "unlimited" in some advertisements to describe its mobile network. Justice Gleeson found that Telstra's advertisement on its homepage and billboards in metropolitan areas which claimed, "One word from Australia’s best mobile network. Unlimited", falsely conveyed the representation that Telstra offers a mobile product or service that is unlimited. Optus Mobile took Telstra to court earlier this month as it felt the advertisement was likely to mislead consumers "and our actions have been comprehensively vindicated by this judgement", a spokesperson told ARN. Optus alleged that the use of the word "unlimited" by Telstra could imply that Telstra offers no limitations on the speed at which data can be downloaded; the volume of data that can be downloaded at unrestricted speeds; and the user’s ability to download data without interruption or delay; and the type of mobile device on which the product or service can be used. Optus also alleged that the advertisement suggested Telstra has a mobile network that provides unlimited geographical coverage throughout Australia, wherever the user is located. Telstra denied the allegations during the hearing on 23 May, disputing that the word “unlimited” in the context of the surrounding words and imagery in the advertisements conveyed “nothing definitive, doing no more than to cause a viewer to wonder about its meaning”. Optus has welcomed the result, which sees Telstra pay for Optus' court costs up to 23 May. As reported by sister publication Computerworld, both parties agreed on orders compelling Telstra to remove its ads. A hearing is scheduled for 1 July that will address Optus' damages claim. "We will comply with the Federal Court decision, which applies to only a small part of our overall advertising and promotional material for our mobile data plans," a Telstra spokesperson told ARN. "We will carefully consider the judgment before deciding our next steps." This is one of the two disputes the two largest Australian telcos are currently battling. 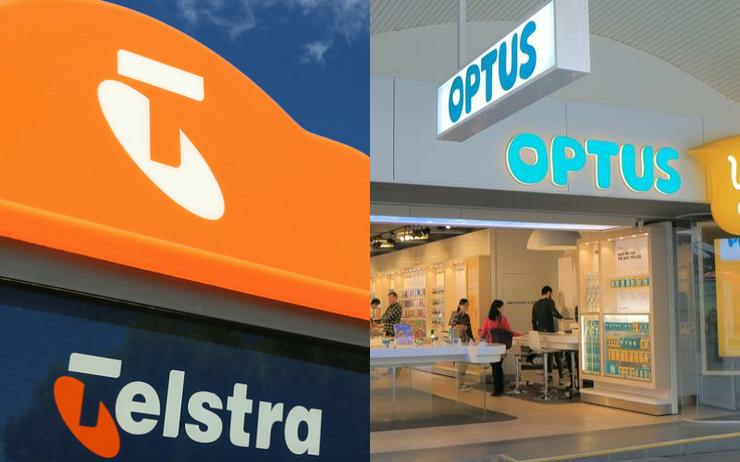 Telstra had previously taken Optus to court alleging that Optus' claim of having the "best Australian mobile network" was misleading. Optus was dealt a blow by the Supreme Court of Victoria which, on 16 May, granted an interlocutory injunction sought by arch-rival Telstra for the Singtel subsidiary to restrain the public display of an advertisement that Telstra alleges is misleading. In an application to the Supreme Court, Telstra alleged that the advertisement is misleading and deceptive, and asked the court to issue an order restraining Optus from displaying the advertisement. The court's latest decision ordering Telstra to remove its "unlimited" ads comes on the same day that Optus Internet was ordered by the Federal Court to pay $1.5 million after being found to have misled customers about their transition from its hybrid fibre-coaxial (HFC) network to the National Broadband Network (NBN). According to an investigation by the Australian Competition and Consumer Commission (ACCC), from October 2015 to March 2017, Optus told about 14,000 customers their services would be disconnected if they did not move to the NBN. In some cases, the disconnection timeframe was under 30 days, and the ACCC found that under the terms of its contract, Optus could not force disconnection within the timeframe it claimed.